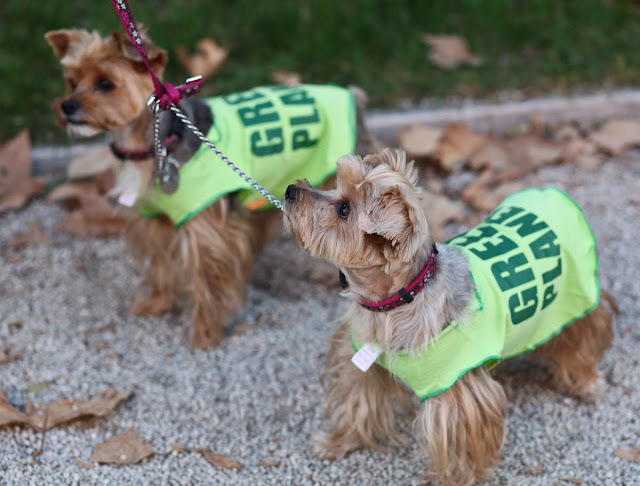 In the last post we had two Cavaliers running for charity and here we have two Yorkies promoting a Green Planet. Quite right too! I met these two in the Jardin Bioves in Menton - they are sisters, eight years old, and are called Mlle. Louise and Mlle. Margot. Adorable, eh? such progressive pups you have there. Mlle. Louise and Mlle. Margot are so cute! lucky to have so little lovely dogs! Concerning my big dog Tomy, who sleeps all day on his soft memory foam beds, I prefer the two little baby dog.